Seat had been established only three years earlier, and had developed the 1400 with a focus on the transport needs of government officials. 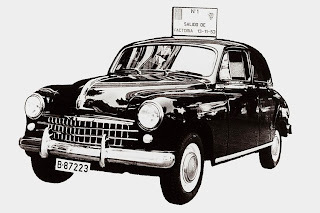 Initially available as a saloon, Seat would also create estate, seven-seat and commercial versions of the 1400; Spanish cabbies loved the 1400, and it remained a popular taxi well into the following decade. With a price tag of 121,875 pesetas (€41,735 or £35,200 today), Seat initially produced five cars per day, built by a workforce of 925 employees. The rear-wheel drive 1400 was powered by a front-mounted, water cooled 44 ps engine and came equipped with a four-speed manual gearbox. It wasn't until June of 1954 that Seat gave the model its official debut, at the Barcelona Trade Fair. And with petrol rationing in Spain having come to an end in 1953, the company received a staggering 10,000 orders. That allowed Seat to both increase production and drop the price, reducing it to 117,000 pesetas. 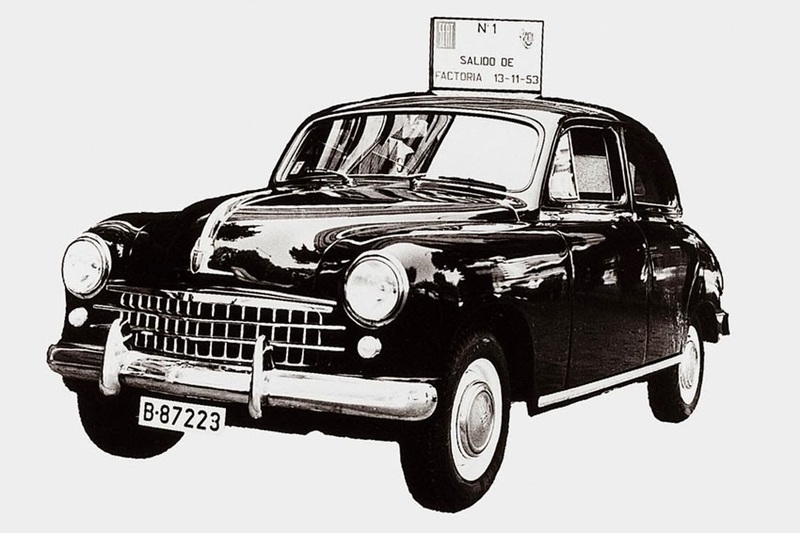 By the end of 1954, Seat had delivered 945 1400 models, but by the end of the following year, annual production was closer to 3,000, with almost all of the 1400's components manufactured in Spain. One year later and production had more than doubled, to 7,000 units, and by the end of the following year Seat was producing 10,000 1400 models annually, with 42 leaving the factory every working day. By that stage the workforce had increased to 5,000. Production of the 1400 ended in 1964, with 98,000 cars having been produced in Zona Franca and Spain going from strength-to-strength economically. Seat was at the forefront of that growth, and remains a key player in the Spanish economy today, designing, developing and manufacturing its cars in the ultra-modern Martorell facility on the outskirts of Barcelona; since 2010, Seat has invested €35m in the 'SEAT al Sol' project, which has reduced factory CO2 emissions by 7,000 tonnes per year using solar panel technology. Since the launch of the 1400, Seat has built more than 16,000,000 vehicles, including icons like the 600, the 127, the Ibiza and the Leon. Today the company exports over 80 per cent of its production, and has over 1,800 points of sale worldwide.